Ladies and gentlemen, Nokia has done it again, creating the unimaginable! 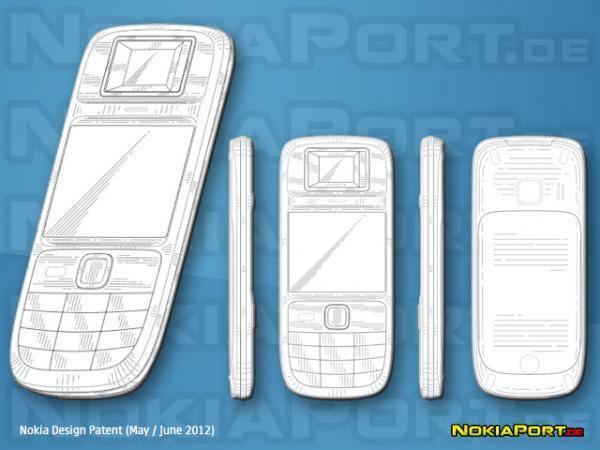 @nokiaport uploaded another Nokia Design Patent (dated May/June 2012) , so it is pretty recent! I honestly don’t know where to start with describing what this is! It looks like a regular S40 phone, with a keypad, navigation pad, 2inch display and instead of your regular speakers and nokia logo on the top just above the screen, we have a surprise with what appears to be a large sensor of sorts on the top, maybe its a solar panel for charging your battery?? also, judging from the two side views of the photos, a vertical line runs down through the middle suggesting it might be a slide, though I am no so sure about that one, it could also mean it has interchangeable cover cases! this is rather out of the norm for Nokia who pride themselves in making beautifully crafted devices, this design is no where near “a thing of beauty”. I don’t think the Nokia 808 PureView is a thing of beauty either, but because it serves its awesome never before seen (41MP camera sensor), its design can be easily overlooked. So let’s hope this awful design and behemoth sensor/panel/display (whatever it is) serves a higher purpose! Microsoft announces its Surface Tablet, so what does this mean for Nokia? ?